Gardaí released the statement this evening. GARDAÍ HAVE THIS evening released a statement urging anyone with evidence of wrongdoing within the force to come forward with the information. The report into Mandatory Alcohol Testing (MAT), which was published earlier this month, found a discrepancy of over 1.4 million between the number of tests counted on the garda PULSE system and the number actually registered by the force’s Dräger breathalyser devices. Earlier today, RTÉ interviewed a woman who claimed that she had witnessed a garda blowing into one of the alcometers in an attempt to seemingly falsify the figures. This evening, gardaí issued a statement calling for those with evidence to come forward and hand it over to Assistant Commissioner Michael O’Sullivan and the Policing Authority. It read: “An Garda Síochána is determined to ensure that all the issues raised in relation to breath-tests are thoroughly addressed so they can’t happen again. As part of this process, An Garda Síochána would once again urge anyone in the organisation – members and civilians – with information relating to breath tests issues or evidence of wrongdoing within An Garda Síochána to bring it forward to Assistant Commissioner O’Sullivan and the Policing Authority who are conducting their own examination into the breath-test issue. This follows comments by some Garda personnel to the media in recent days on such issues. 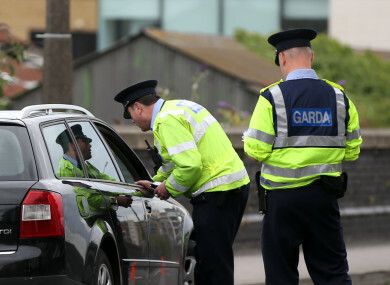 On Thursday, the Garda Representative Association (GRA) questioned why management required data on the number of negative breath tests at a time when resources were “scarce or diminishing”. “This data was utilised as a crude measure of productivity – and fed into a culture of competition among senior ranks to improve their promotion chances,” the statement said. The association went on to say that no one can “categorically say that it was our members falsifying data” and claimed it has numerous examples of supervisors and managers having input into the system. Email “Gardaí urge anyone with evidence relating to false breath test figures to come forward”. Feedback on “Gardaí urge anyone with evidence relating to false breath test figures to come forward”.